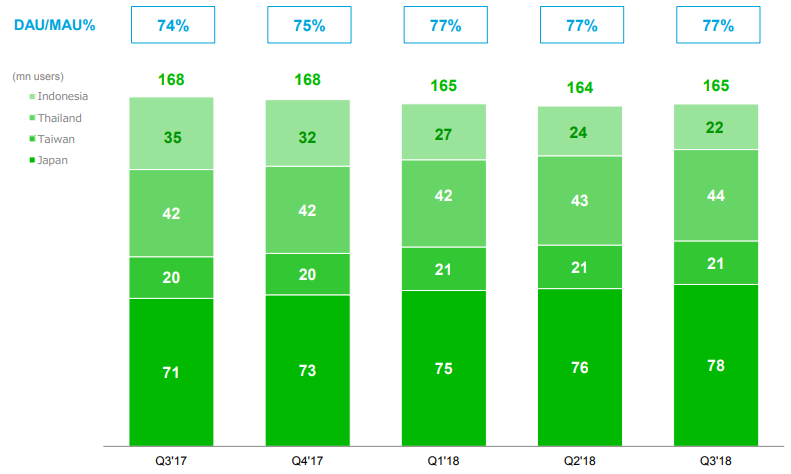 If you’ve been thinking of adding Line to your social media efforts, here are some numbers taken from Line’s 2018 Q3 earnings results that may persuade you that now is the time to jump in, if you haven’t already. Line currently has 165 million active users across four key countries, Indonesia, Thailand, Taiwan and Japan. With the exception of Indonesia, all countries have been growing their monthly active user numbers. Line has an impressive DAU/MAU (daily active users to monthly active users) ratio of 77% across these four countries, with Japan leading the pack at 85%. Revenue for the third quarter was approximately 450 million US dollars, with approximately 52% of that coming from Business Ads. 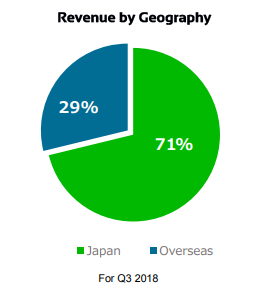 71% of all revenue came from Japan. With this much revenue coming from ads, it’s not too surprising that Line Ad impressions grew from 15.9 billion to 23.2 billion, an increase of 46%, in the past year. 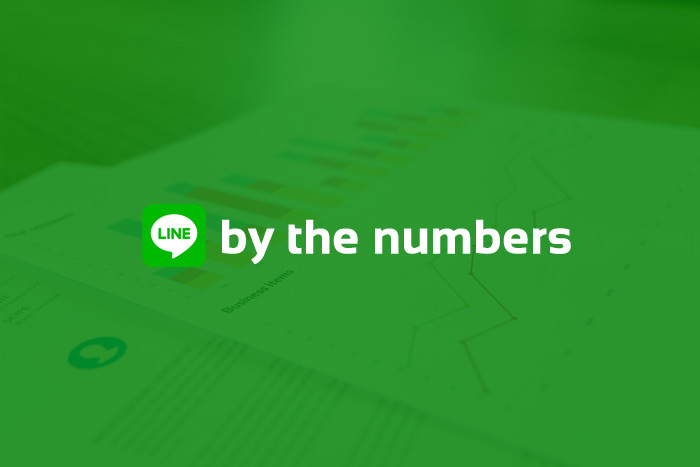 On the Line pay front, transaction volume increased 124% in the past year, rising to 2.3 billion US dollars, with Line pay now being accepted at over 920,000 locations. The number of Line@ accounts has gone from 6,085 to 8,526, a 40% increase in one year. Line@ accounts are being used by companies of all sizes to keep in touch with their customers and clients. From marketing new products to customer support, if you’re active in a country with a large presence of Line users, you really need a Line@ account. With their new ad platform going live in early 2019, the success of their Line Pay payment platform, and their dominance in markets like Thailand, Taiwan and Japan, now is the time to make Line a key part of your social media efforts if you’re in any one of these countries. And at Synaptive, we’re ready to help you along the way. With our Streamchat for Hootsuite app, you can monitor all of your Line interactions using the worlds most popular social media dashboard, Hootsuite. Want to know more about how Synaptive can help you? Just reach out.